Should I be a pawnbroker? I’ve had many entrepreneurs contact me who state they are planning to open a pawnshop and are seeking my assistance. In talking to them I discover they are most interested in buying, selling, and trading secondhand goods. They are shocked to discover this is not the main business activity of a legal licensed pawnshop. I always suggest to them to consider opening a secondhand store as opposed to attempting to meet the requirements to become a licensed pawnbroker. This is important for you to realize. The main business activity of any pawnshop is providing short-term credit to consumers who in turn pledge personal property as collateral for the pawn loan. Simply stated; if you do not want to be a moneylender, you should not choose to be a pawnbroker. What kind of “stuff” do I need? Most wannabe pawnbrokers are overly concerned about filling up their showroom with used merchandise before opening their business. While I’m not suggesting you open a pawnshop with an empty showroom, what I am saying is there are many more important aspects to opening a pawnshop that should concern you first. The first being, will you have sufficient capital after your initial startup costs to begin building a solid pawn loan base and also to operate with negative cash flow and minimal profits for several months? If the answer to this question is no, you should not even consider opening a pawnshop until the answer is yes. Another thing you will need immediately, before the front door opens for the first time, is sufficient knowledge and tools to test and identify precious metals and gemstones. In most pawnbroking operations, fine jewelry accounts for over 50% of items pledged for a pawn loan or offered for sale. If at least someone in your business cannot identify a diamond from a moissanite or a solid gold ring from a heavily plated ring, you will have an extremely difficult road ahead of you. Plus you should also consider having a marketing system in place to attract qualified customers into your pawnshop and keep them returning again and again. Becoming a pawnbroker causes you to fall under a wide variety of federal, state, and local regulations. As of this writing there are 13 regulations just at the federal level. Compliance with these regulations is not optional. Regulation within the IRS code, the US Patriot Act, the Truth in Lending Act, and many others are to be followed to the letter. In most cases there are severe penalties for operators either knowingly or unknowingly not in compliance with these federal regulations. 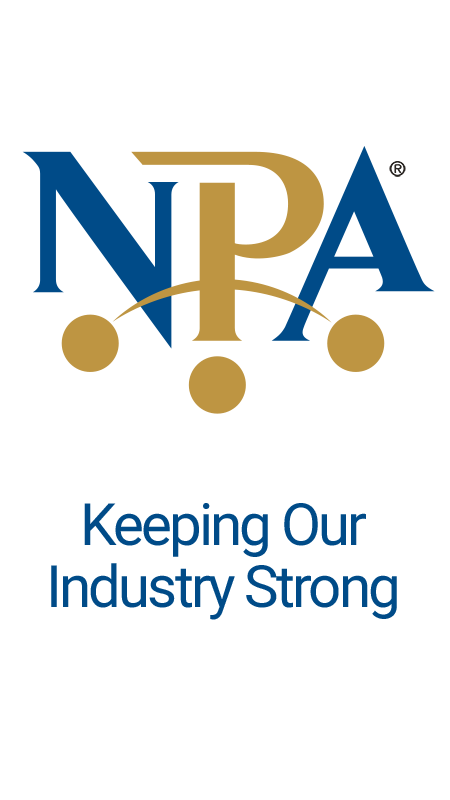 Your shortcut to compliance will be to become a member of the National Pawnbrokers Association because this organization is always knowledgeable about the latest in federal requirements for the pawnbroking industry. Most pawn shops are licensed at a state level while some are licensed only at a local level, and many are licensed at both levels. There is no such thing as becoming a pawnbroker without some sort of business licensing, and usually this involves multiple licenses. A pawnbroker’s license, a precious metal dealer license, a secondhand dealer license, a general business license, but again, this depends on your location. Realize it’s no one’s responsibility but your own to find out what licensing your pawnshop will require, knowing all of the regulations for your area, and applying for and obtaining the required licensing before doing business. One of your best resources for this information will be the Pawnbroker’s Association for your state. Be prepared because most of these licenses take time to obtain and many have financial requirements attached to them. While some of these financial requirements may seem unreasonable or restrictive to you, they are in place to assist you in the success of your business. Attempting to open a pawnshop business on a shoestring budget is a guaranteed recipe for disaster and failure. The regulations you fall under based on your choice of location will have a major impact on how you choose to do your business. Maximum finance charges, minimum holding times, unredeemed pledge disposal, and many other important business metrics are regulated by these statutes and need to be complied with. These limitations always vary from state to state and sometimes from city to city. These limitations can also make it very difficult to profitably run a pawnbroking business under certain circumstances. This is why understanding these limitations before investing in your pawnshop business is of great importance to you. An example would be if you happen to live in and choose to operate in a low-interest state such as Ohio, and you wish to locate your pawnshop in a rural community of under 10,000 people, it should be obvious to you that you will never be able to meet your overhead on the finance charges collected off the effective yield of your loan base. Many additional products and services to generate additional revenue streams would be required for such an operation to actually run profitably. In most areas there are strict requirements on forms to be used when conducting business in a pawnshop. The strictest requirement is in the content necessary on the pawn loan document, or pawn ticket. Your pawn ticket must meet or exceed all information clearly spelled out as required by federal, state, and local regulation. Generating pawn loans without the required information on your pawn tickets is an open invitation to fines, penalties, and lawsuits against your business. Most areas also have requirements on forms to be used when purchasing merchandise from customers, taking trade in merchandise from customers, and even occasionally when selling items at retail. Your shortcut to compliance here is to locate and do business with a forms printer who specializes in forms exclusively for the pawnbroking industry. These companies aggressively stay informed of all the current federal, state, and local regulation required on the forms they produce. Create a foundation of understanding. Make an appointment with the chief law enforcement officer in your market area to discuss your pawnshop business plan with him or her. Ask them what reporting requirements are in place within their department for pawnshop businesses and encourage electronic reporting to the police department as an option if they currently do not have this available. Your state pawnbroker association and your software provider will be excellent sources for up-to-date information on electronic reporting. Discuss with them the procedures you will have in place for screening prospective customers and keeping the amount of suspect property accepted by your pawnshop to a minimum. Also talk with them about their standard operating procedure for what happens if property accepted by your pawnshop is found to be suspect in nature. This does not necessarily mean the property is actually stolen. Usually when property accepted by your pawnshop is misappropriated by the customer it will be a civil matter as opposed to a criminal issue. It is wise to make sure everyone is on the same page before a problem exists because of misappropriated property. Be sure to question procedures about domestic disputes, and property procured from rent to own stores. Also discuss appropriate courses of action for holding property during investigations, potential criminal charges against the customer, and restitution provided to you by either the courts, the insurance companies, or the victim. There is no one-size-fits-all method to protect yourself against suspect property but there are many laws in place to allow you to remain whole. Again, your shortcut here to having the ability to handle property disputes and law enforcement claims quickly and hassle-free is to become a member of your state and national pawnbrokers Association. Nearly every successful pawnshop that’s been in business over 20 years is doing well for a specific reason. The reason may be the business is generational and the current operator learned the business from a family member. The reason may also be the pawnbroker initially purchased an existing pawnshop business when getting into the industry. But if they have been successfully in business for over 20 years from a fresh start up with no initial pawnbroking experience they should be applauded. I can guarantee you they struggled mightily to get there. This is because when they initially entered the industry there were virtually no resources available on owning and running a pawnshop. Times have changed. The pawnbroking industry is now professionally organized with state and national trade associations that are valuable resources for information to the inexperienced pawnbroker. There are a million reasons not to be a member of these organizations, however there is not one single legitimate excuse. The pawnbroking industry also now has how-to books, coaching programs, qualified consultants, and industry experts available to you for consultation. Your investment in these types of resources will have a positive impact on your initial startup and ongoing pawnshop business. Utilizing them wisely produces results. Nearly every available resource will provide you with greater financial security for your new business and will also assist you in avoiding many costly mistakes. They are an investment in your peace of mind. Carrying out appropriate research before entering any new industry is always a wise activity. In order to be confident the pawnbroking industry is right for you, you may wish to consider immersing yourself in industry information before investing in your future business. This due diligence can easily be accomplished in a number of ways. Take several days to visit as many pawnshops as you possibly can, both inside and outside of your market area. Take note of what you feel they are doing right and more importantly what they are doing wrong. Attend industry trade shows if possible. Not only will you make important future business contacts, but your attendance will accelerate your learning curve of a new industry. Read books on the industry in order to acquire additional knowledge of what takes place in the business. Subscribe to industry trade publications and inquire if any back issues might be available. Look up and study pawnshop industry news available on the Internet. Doing as much of this research as possible before opening your pawnshop will clear up many misconceptions and irrational expectations you may have. Think outside of the industry. While the pawnbroking industry has been around for over 3000 years there are many things they still do not do correctly. While you have the advantage of plugging in estimated percentages and margins in your business plan based on Annual Reports and SEC filings of the public companies in pawnbroking, this does not mean you should model your operation after them. I have found that your best bet is to visualize your typical customer standing in front of you, the customer you wish to attract, and then create a unique, fun, and interesting experience for this customer. Think Neiman Marcus® not Wal-Mart®. Do not however make the grave error of totally outclassing your customer base. You do not want to put a high-class pawnshop in a low class neighborhood or vice versa. Again, just keep in mind the customers you wish to attract, hopefully within your radius, and make sure their experience when dealing with your company is not boring. Look for the eight mile radius. If you have yet to find a location for your pawnshop, one of the most important things to consider is the type of customers you wish to attract and the size of loans you wish to write. As a rule of thumb, over 80% of a pawn shop loan base will come from within an 8 mile radius of the location. This of course varies depending on market place, with the circle growing wider in rural locations with lower population density, and the circle growing narrower in urban areas with high population density and increased competition. Keep this 8 mile 80% rule in mind in choosing a location that will have the ability to attract customers you desire. If you have already chosen a location, draw a circle on a map representing this 8-80 rule, and concentrate the majority of your marketing on those who live within the radius of your circle. Catering to the types of residents who live within the circle will show you the most bang for your buck in your marketing efforts. Plan on a credit line at least double what you have in mind. The boilerplate joke for opening a new pawnshop location is the question: “Well, what are you going to run out of first; storage space, or cash.” This is because while you have inventory for sale in the form of purchased goods, trade-ins, and defaulted loans, operating a pawnshop in a successful mindset will reveal that your true inventory item is nothing more than cash. When you are in the business of renting money, the last thing you want to do is run out of it. An aggressive lending practice in any pawnshop is an important key to the success of the location and is difficult to do on a limited budget. Therefore, in your business plan it is important to spell out your estimated default rate on your loan base (usually around 25%) and your estimated effective yield on your income producing loans. This makes it much easier to sell the idea to your investor on borrowing cash from him at 10% per year and loaning it out to your customers at a return of 10% per month. Plan on a variety store with a bank inside. Some of the most successful pawnshop operations I have witnessed recently have had the front room laid out like your typical variety store with a homey and unique feel to it. Then, somewhere in the layout of the front room is the loan area which looks like your usual small bank branch in a grocery store. Keeping traffic patterns and security in mind, this will give your pawnshop a warmer and friendlier feel than a big-box store, yet a much more secure feel than your typical garage sale looking pawnshop. It is important to choose colors, displays, flooring, lighting, signage, and finishes based on what will make your desired customer comfortable. It is wise to have the classiest part of your front room be your retail jewelry area, followed by a private closing room which will allow you to successfully negotiate loans with higher end customers, if this type of customer is what you desire and market to. Just think clean and comfortable for your customers and you will do just fine. But remember that a “same as” mentality is not helpful here. Look to provide a legitimate and profound reason why your customers should do business with you. Prepare for wild swings in cash flow. All pawn shops, especially new startups, experience periods of negative cash flow. January July and August are usually the most prevalent. November December and February usually see the most positive cash flow periods. You will also experience more dramatic ups and downs in your loan balance during these months. Other occurrences, usually less predictable, will also have dramatic effects on your cash flow. Some of these occurrences may include; local economic conditions, large layoffs or factory closings in your area, seasonal work in your market area, exceptionally cold winters or hot summers, and even the current price of a gallon of gasoline. You should prepare for this in laying out your business plan, and you should also propose additional revenue streams to get through these negative cash flow times with supplementary desired goods and services offered to your typical customer. Look to hire those with non-pawn experience. At risk of sounding harsh, hiring employees with previous pawnshop experience usually means that you’re hiring a person who has been trained improperly and is typically not open to accepting and properly implementing the systems and processes in place in your pawnshop. Previous retail experience is usually a plus as is previous military experience. Former jewelry store employees along with former rent-to-own store employees also seem to be a good fit. People with backgrounds in banking and finance will also work to your advantage. The opportunity to hire a graduate gemologist is almost always a plus and may give you the opportunity for an additional revenue stream. I have also found that hiring retired police officers provides valuable previous experience for a new pawnshop employee. Make sure to include in your business plan a procedure for background checks, credit checks, and drug tests for new hires. Design for maximum security but not prison-like. Store security is of utmost importance to your pawnshop operation and should be included in your business plan. This is no place to cut corners and proper security measures will provide confidence to your loan customers that their pledged items are being stored securely. If possible, it is wise to avoid cages, screens, bars, and bulletproof glass. This will of course need to be determined depending on your exact location. At all cost, avoid employees visibly carrying weapons. If you feel it is necessary in your location, you have chosen the wrong location. You should plan on a minimum of TL-TR30 safes for jewelry and cash storage, which should also help you with your insurance rates. Full store parameter and interior state-of-the-art alarm systems are necessary and should be planned for. So is a full store state-of-the-art DVR surveillance system. Opening a pawnshop without these minimum security measures is foolish. In operating a pawnshop your overhead will contain expenses that far exceed that of an ordinary lender or retailer. Insuring your business, especially carrying insurance on all pledged items, is not only expensive but in most cases is required. Do not believe that it will be easy or economical for you to obtain an adequate business insurance policy on your pawnshop. Most underwriters refuse to even cover the industry. There are several insurance companies who specialize in writing policies for the pawnshop industry. These companies can be located through trade associations and also in industry trade publications and trade shows. Determine the approximate cost of this ongoing business expense when calculating your cash flow in your business plan. Also determine how much risk you are willing to assume in the event of a loss. Another ongoing expense that surprises most new pawnbrokers is the cost of adequate security for your pawnshop business. Crimes against pawnbrokers are sharply increasing and state-of-the-art security for your pawnshop business should be considered as a necessary and ongoing business expense. Your business and your life may depend on it. Set up expert systems for every procedure. Taking the time to set up expert systems for a pawnshop operation is not only necessary but will ensure your success. There are several excellent computer software systems designed exclusively for the pawnbroking industry, and you should consider computerization mandatory no matter what size your operation is. It would be wise to choose your preferred software and mention it in your business plan. Additional systems should be set up for every procedure that takes place in your pawnshop. Loan procedures, sales procedures, management, hiring and firing, and even procedures on how to properly answer the telephone. Again, this is of major importance even if you have no employees yet. You will find it much easier to lay out the systems if you begin with the end in mind. Try to consider your pawn shop running without you being there, or without you being in the picture at all. How do you want things done? How do you want your customers treated? Prepare storage with cubic feet in mind. A back room storage system for pledged merchandise is something that is usually overlooked in a pawnshop business plan. If you are limited in the amount of pledged goods that you can store, you are also limited on what you and your employees can accomplish building your loan base. Jewelry storage is usually the easiest to accommodate and the majority of jewelry pledges can usually be filed in the safe using a No. 1 coin envelope. Warehouse shelving generally works best on an alphanumeric system and shelf space should vary to hold different sized items without wasting space. If possible, I recommend floor to ceiling shelving in the warehouse while keeping safety in mind. Smaller items pledged together can easily be stored in Ziploc bags, and your computer system should be able to accommodate you for tags or labels on all pledged merchandise. When it comes to storage, think fast, safe, simple, and accurate, but also try to utilize every cubic foot you have. Seek outside education on specialties. While determining the fair market value on the majority of pledged items is a simple task nowadays by using the Internet, it would be wise to include in your business plan that you also have the education, contacts, or reference materials to value a wide variety of specialty items. The more versatile you can be in valuing the items offered as a pledge; the more creative you can be in building your loan base. It is also important to seek out proper education to be able to authenticate expensive items such as high-end watches, vintage jewelry, designer brand goods, antiques, and other luxury items that are frequently knocked off. Most pawn brokers repeatedly lose out on amazing amounts of additional revenue because they lack the ability to be able to separate the faked or copied from the real thing. Do not fear this important revenue stream for your pawnshop, receiving appropriate training will pay you handsomely. Specialize in your areas of interest. Many new pawnbrokers feel they are at the mercy of their walk-in customers for what types of products and services they should offer in their pawn shops. Besides the obvious product of short-term consumer credit many highly successful pawnbrokers also specialize in additional product areas resulting from a hobby or interest of theirs. I have personally witnessed pawn shops that also deal in products as diverse as valuable one-of-a-kind art, collectibles, antiques, vintage model trains, and even wedding dresses. Specialized items such as these in a pawnshop will attract like-minded customers. Keep in mind as they will also attract more items like them which customers will offer for pawn or for purchase. So if your hobby or interest is a unique type of merchandise that has a high perceived value it may work very well as an additional revenue stream in a pawnshop. Steer clear of items with unstable values sold by the mass merchandisers. Write a flexible business plan. While a well-written business plan will provide you with a blueprint for the operation of your pawnshop business, adding flexibility to this plan will also help to ensure your success. In our current unknown economy many factors will change quickly and can have a major impact on your business such as the precious metals market, the latest unemployment figures, your local economic situation, and the fair market value of the most common merchandise. These things and others are not within your control. So flexibility in your business plan will provide you with the opportunity to make adjustments quickly. While typical loan-to-value ratios are generally in the 25% to 50% range, you must be willing to promptly adjust them to best serve your customers while protecting the amount of risk your pawnshop assumes. As with starting any business there are always risks that will be taken, but by following these tips for opening a pawnshop, any risks you take will be far more calculated.